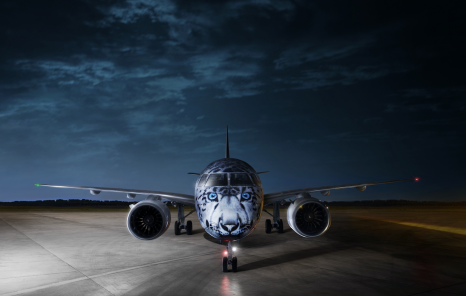 This airline wrap makes us both happy and sad. Happy, because it’s no longer Monday, but sad because we’ve still got four days until the weekend. The first new generation Embraer E190-E2 for Air Astana arrived at Nursultan Nazarbayev International airport in Astana today, following ferry flights from the manufacturer’s factory in São José dos Campos, Brazil. This is the first of five Embraer E190-E2 aircraft scheduled to be delivered to Air Astana following an order originally placed in August 2017. Air Astana currently operates a fleet of nine Embraer E190 aircraft on domestic and low-density regional services, with the first aircraft having entered service in 2011. The new generation Embraer E190-E2 aircraft will gradually replace older Embraer E190s in the fleet. The twin-engine, single-aisle Embraer E190-E2 belongs to the family of upgraded E-Jets, which offer lower operating costs, emissions and noise levels, with a range of more than 5,000 km. American adds more comfort as the only airline to offer first and business class on the transcontinental route FORT WORTH, Texas — American Airlines will introduce its unmatched premium travel experience twice daily on a three-class Airbus A321T between Los Angeles International Airport (LAX) and Boston Logan International Airport (BOS) beginning April 2, 2019. American already offers more flights between LAX and BOS than any other airline, and with today’s announcement, becomes the only airline to offer both first and business class on this route. Customers travelling from coast to coast on the A321T in Flagship First and Flagship Business will experience fully lie-flat seats and a chef-curated menu, as well as premium wines and amenity kits. 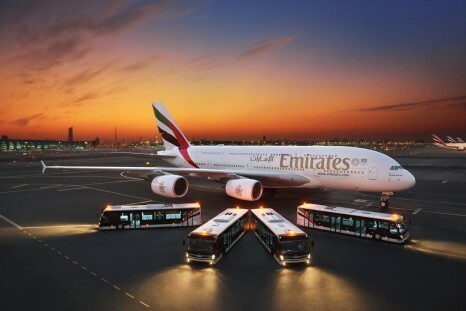 Those travelling in Main Cabin can stay connected with power at every seat, high-speed Wi-Fi and seatback entertainment. And, as part of American’s new collaboration with Zoës Kitchen, Main Cabin customers can purchase new light and healthy menu options. LATAM Airlines, Latin America’s leading airline, has announced that it will commence a non-stop service to Munich (Germany) from São Paulo on 25 June 2019 with tickets now on sale. LATAM will operate four weekly flights using Boeing 767 aircraft with capacity for 191 passengers in Economy and 30 in Premium Business. The Bavarian capital will become LATAM’s second destination in Germany after Frankfurt and its ninth European city. 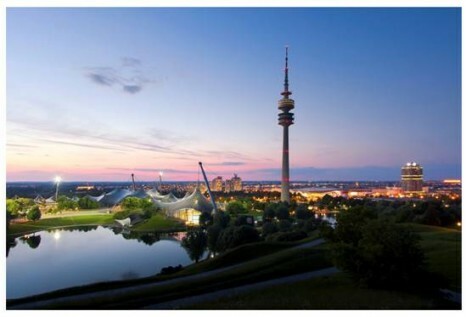 Located north of the Alps, Munich is a leading centre for business, art, education, sports and tourism. Home to leading multinational companies, an internationally renowned football team and the annual Oktoberfest beer festival, it attracts both tourists and business travellers from around the world. Starting 25 June 2019, LATAM Airlines flight LA8212 will depart São Paulo/Guarulhos on Monday, Tuesday, Thursday and Saturday at 23:25, arriving in Munich at 17:15 the next day. The return flight (LA8213) will operate on Tuesday, Wednesday, Friday and Sunday, departing from Munich Airport at 20:15, arriving in São Paulo at 04:35 the following day (all times local). The flight has been scheduled to conveniently connect with cities throughout South America including 23 destinations in Brazil, Santiago (Chile), Buenos Aires (Argentina), Montevideo (Uruguay) and Asunción (Paraguay). Virgin Australia is thrilled to launch a sale for flights between Australia and New Zealand, with sale flights available for purchase from today until the 12th December. The average discount for these fares is 30 per cent from our year-round lead-in fares, so provides guests with a wonderful opportunity to travel to Fiji, Bali, Vanuatu or the Cook Islands at substantially discounted rates. Flying out of Australia often includes long hours on a plane and while there are plenty of tips for surviving a long-haul flight, there is one that beats all others – getting a comfortable seat for some quality sleep. The Qsuite is available on flights to and from Canberra via Sydney to Doha with connections to Qatar Airways’ global network of more than 150 destinations from 1 July 2018. The world’s most influential airport commercial revenues conference, the Trinity Forum, will be held in Doha in 2019, the first time the event has ever been hosted in Qatar. The conference, organised by The Moodie Davitt Report, ACI World and ACI Asia-Pacific, will be hosted by Hamad International Airport (HIA), Qatar Airways and Qatar Duty-Free (QDF) and will take place in Doha from 30-31 October 2019. The second-largest duty-free operator in the Middle East, QDF boasts more than 90 elegant boutiques and luxury, high-end stores, as well as more than 30 restaurants and cafés covering an area of 40,000 square metres at HIA, providing travellers with a world-class shopping experience under one roof. Qantas is set to open a new Regional Lounge at Tamworth Airport. Announced at Qantas’ Full-year Results in August 2018, the lounge will be redesigned with more seats and 20 per cent more space than the current facility. Located in a new airside location (after security), the lounge will feature tarmac views, contemporary furnishings, complimentary refreshments and beverages, Wi-Fi, and comfortable seating. Development on the new lounge will begin on Monday 3 December and open to customers on 22 December. During this period, the previous facility will be closed and customers will be offered vouchers to redeem at the food outlet in the airport terminal. Separately, the interiors of the airline’s Bombardier Q200, Q300 and Q400 aircraft are being upgraded at QantasLink’s maintenance facilities, including at Tamworth Airport, the airline’s hub for regional aircraft maintenance. The improved turboprop experience includes new ergonomic seat cushioning, leather upholstery, tablet device holders, a refreshed interior colour palette and new floor coverings. On December 4, 2017, China Southern Airlines officially launched the “Cairns -Guangzhou” route. The route has now been operating for one year. To recognise and show appreciation of the support from the community and our customers, China Southern Airlines held an Appreciation Dinner on November 30th, 2018, to celebrate the one-year anniversary of the ‘Cairns-Guangzhou’ route at the Riley Hotel in Cairns. Over 110 guests including Counsellor of Consulate-General of People’s Republic of China in Brisbane, Lan Yuqiang; Mayor of Cairns, Bob Manning; CEO of Tourism Tropical North Queensland, Pip Close; CEO of Cairns Airport, Norris Carter; International Director, Greater China of Tourism and Events Queensland, Mr. Charley Shen; representative of Tourism Australia and other VIP guests attended the dinner. During the event, Zhang Yubin, General Manager of China Southern Airlines Australia and New Zealand, reviewed the achievements of the Cairns-Guangzhou route over the past year and expressed his gratitude on behalf of China Southern Airlines.